Hit the Greek mountains and feel the vibe of the of free ride skiing. Meet the producer of the spectacular Frozen Ambrosia ski movie. 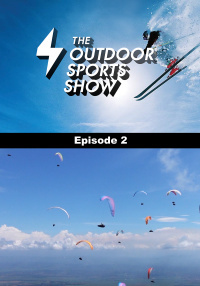 Fly down to Roldanillo, Colombia for the Super Final of The Paragliding World Cup tour. In this episode we start in the Greek mountains with some snow action, as three of the most famous ski riders give us the opportunity to feel the vibe of the free ride skiing world. We'll then meet the famous ski movie director Contstantine Papanicolaou, producer of the spectacular Frozen Ambrosia movie. Our final destination, Roldanillo in Columbia where we'll fly with the elite pilots in the Columbian skies at the Super Final of The Paragliding World Cup tour.